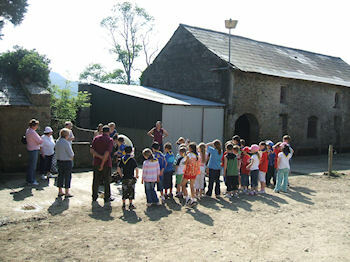 School Tours In Waterford Visit Our Heritage Farm - Nell's Farmhouse, Carrick on Suir, Co. Waterford, Ireland. Demonstrations of pot oven bread making, griddle scones and butter making. Feeding our farmyard friends including Hens, Calves and Lambs. Hand milk Buttercup the cow. School tours are available as Gaelige. These are a sample of what the children can do. But a programme can be tailor made to a teachers specific requirements e.g. a teacher was teaching the poem "the old woman of the road" and brought her class in order that children could experience what life was like for that woman. One of the aims of the Revised Primary School Curriculum for SESE states "that the child should be enabled to explore features of the local environment e.g. old house" We are fortunate in Co. Waterford to have an outstanding venue go visit which is ideally suited to achieving this aim. 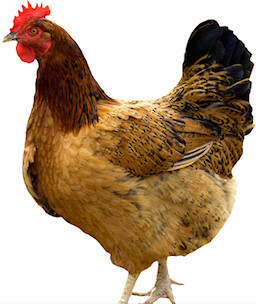 A trip to Nells Farmhouse is a wonderful experience for children from a rural or urban school. I took my 3rd and 4th class and it was most enjoyable for the children. They saw Daisy being hand milked, and at lunch time they ate the Pot oven bread baked over the open fire during the visit. This was a wonderful trip which I would highly recommend. Catherine Power, Principal, Rathgormack N.S. For more information on bringing your school or youth group to visit our heritage farm please contact us.